Agricultural scientist S.H. Witter pioneered some of the first scientific studies into non-root plant feeding (foliar feeding) in the early 1950s at Michigan State University. He found that the uptake of various plant foods was from 100% to 900% more effective when the nutrients were applied to the leaves instead of to the soil. Leaves are green factories where the complex processes of photosynthesis produce the compounds plants need for growth. Solo Organics Food Plant is absorbed right at the site where they will be used, so they are quite fast acting. Some gardeners have actually seen plants improve within an hour of spraying. The absorption into the plants takes place through the stomata of the leaves and also through the epidermis. It is a complex mixed of amino acids made from vegetable and animal proteins through the action of proteolytic enzymes that act on the protein links thus producing amino acids, peptides and nucleotides of low molecular weight. Is extracted by enzymatic hydrolysis, in other words is the only biologically active amino acid. All the amino acids are of type L, which is the only type that has metabolic activity. All the plants, as any other organism, need certain components in order to develop. Besides the soil, sun, rain and air, it needs proteins, which are the basis of its structure. Proteins are formed by sequences of amino acids. 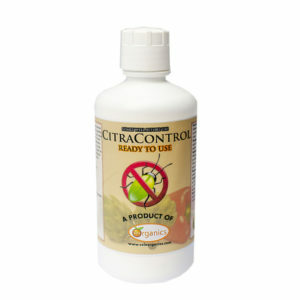 Promotes, budding growth and propagation of materials by applying it to the first leaves or roots. Participate in the nutrition and assimilation of minerals from the hydroponic solution. It promotes a better development of the root by stimulating the formation of highly absorbent rootlets and hairs. Citra-GROW™ increased the plants resistance to disease. Citra-GROW™ increased the plants resistance to stress. 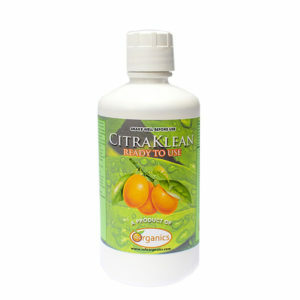 Citra-GROW™ stimulates the production of hormones and enzymes. 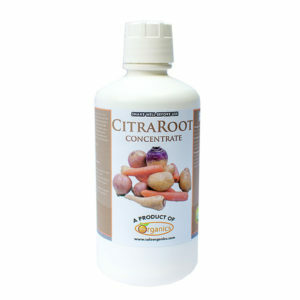 Citra-GROW™ provides a direct absorption without the intervention of enzymes. Mix Citra-FILM ½ teaspoon to 1 teaspoon (2.5 – 5 ml/L) and 5 quarts (5 liters) of Citra-GROW™ in water and applied to one foliar hectare. If the plants are quite large application may be up to 10 quarts (10 liters) per hectare. 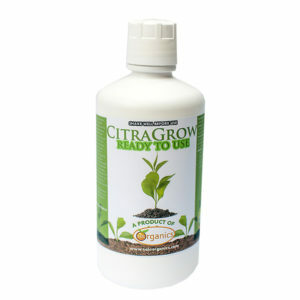 In terms of volume of the dose is usually 5 to 10 teaspoons (25 to 50 ml) of Citra-GROW™ per quart (liter) of water. Mixed with foliar fertilizers, Citra-GROW™ improves the efficiency of these, causing the nutrients to be ingested by the plant very quickly. With the application of Citra-GROW™ we get better sprouting, flowering and the fruits are lush in quality and weight. In Hydroponic nurseries that are exposed to cold (untimely low temperatures) we need to apply Citra-GROW™ before the frost, this way the plants are protected thus reducing the damage from burns very efficiently.